http://maientertainmentlaw.com/?search=prescribed-dosage-for-accutane This is the favorite of the six recipes I taught for my “Gifts of Food” class last week at Les Gourmettes. It’s just so darn cute and has so many elements I love. http://cinziamazzamakeup.com/?x=dove-comprare-viagra-generico-100-mg-a-Roma I mean, seriously, how happy would you be if someone gave you this? Not only cute, but yummy too! Preheat the oven to 350 degrees and line 2 baking sheets with parchment paper or Silpat mats. In the bowl of a standing mixer on medium-high speed, beat the butter with 1/2 cup of the powdered sugar until light and fluffy. Add the vanilla and beat to combine. 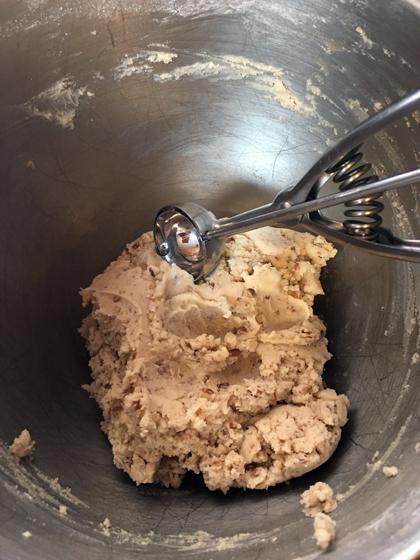 With the mixer on low, gradually add the flour, pecans, and salt until the dough comes together. Scoop out the dough by the tablespoonful and use your hands to roll it into balls. 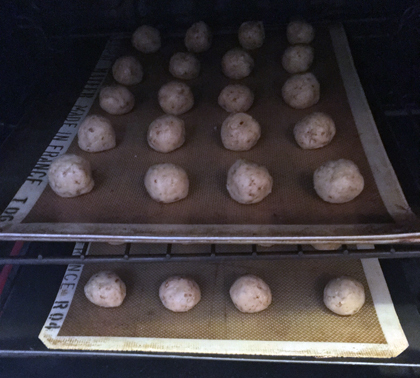 Place the balls 1-inch apart on the prepared baking sheets. Bake for 15 minutes in the preheated oven, watching closely, until cookies are set but before they begin to turn brown. Immediately transfer the cookies to a wire rack and let cool for 10 minutes. Place the remaining powdered sugar in a shallow dish. 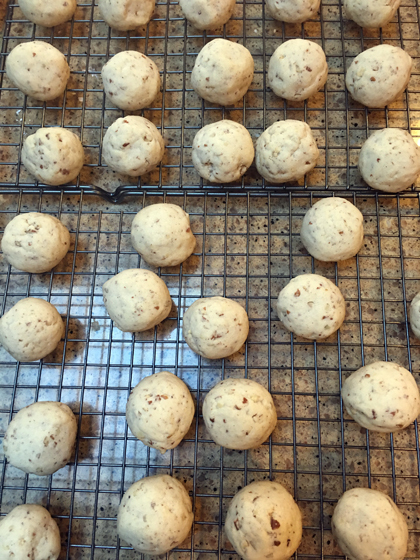 Roll the warm cookies in sugar to coat, then return them to the rack to cool completely. 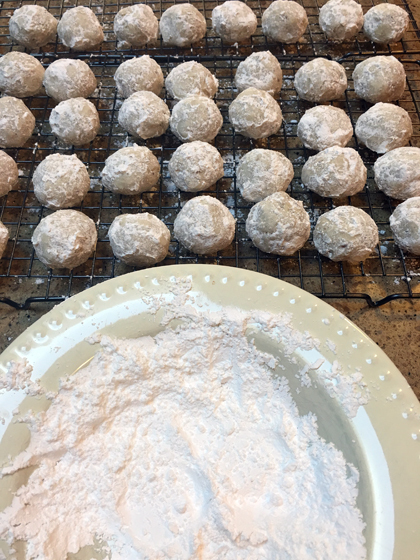 Once cool, roll the cookies in powdered sugar once again. Store them in an airtight container. follow url To Package: Use a white paint pen to paint small white dots (falling snow) on the outside of a glass jar. 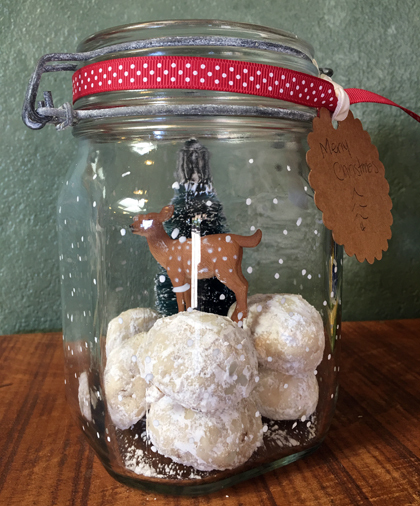 Fill bottom of jar with snowball cookies Place small plastic trinkets inside for a snow globe-inspired vignette. I found the little bottle brush tree and deer at Hobby Lobby. 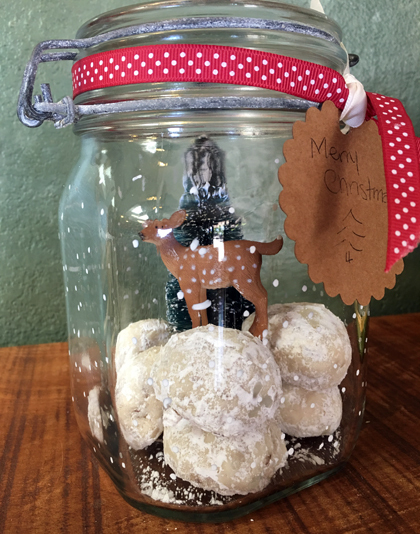 Tie gift tag to jar with ribbon and bring joy to someone with this adorable edible gift.